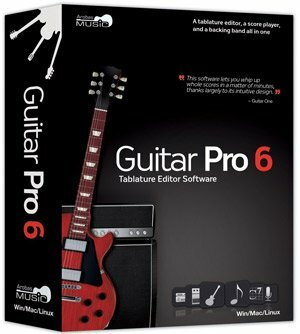 For years, Guitar Pro 6 has been the premium tablature creating software on the market. Now that it’s been superseded by Guitar Pro 7 we can debate over which is better, but I get the impression that much is the same between the two. The biggest advantages the Guitar Pro software has over others is its intuitive layout and fast note input. Even if it is your first time making a tab you should still be able to make a nice-looking product without too much headache. It’s not free ($70 for GP7, significantly more for a hard copy of GP6 from Amazon – as of January 2018), but like most good programs, it’s worth the money. I once ran Powertab (a freeware tab program) like a pro and thought it was great. But now I look back and cringe at the appearance of my old Powertabs, realizing how much better Guitar Pro is at just about everything. Because it’s great and people are using it more and more to make ‘ukulele tabs, I decided to make up a set of video tutorials on how to use Guitar Pro 6. All these video are recorded at 1080p so you can watch in high-definition full screen mode and actually see what I’m seeing on my computer. I’m a Mac user, but don’t see any reason why the Windows version would be any different. In this video I talk about the layout of the program, what you can do with it, and other general aspects beyond the scope of the how-to videos below. Before you can do much you have to get Guitar Pro out of guitar mode and into ‘ukulele mode and create a blank tab. That’s what I demonstrate here. This is the most straightforward part of my tutorial series: how to put notes on the lines using your keypad. One of the most exciting features of GP6 is that you can make chord diagrams appear above the tab to show fingerings. It’s not as easy as it should be, but it looks nice enough that the struggle is worth it!